Firstly, Cyprus would like to align itself fully with the statement delivered on behalf of the European Union. We would also like to highlight the importance of participation of organisations for persons with disabilities in conferences of this high statute. Economic empowerment, inclusive social protection, habilitation and rehabilitation, as well as other aspects of everyday living and social inclusion for persons with disabilities are of outmost importance and should be treated as such. To empower persons with disabilities attention must be given to all aspects of their life. 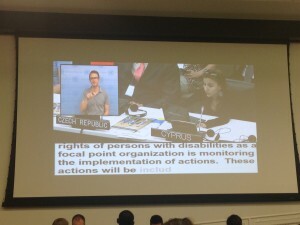 In Cyprus, after the ratification and entry into force of the CRPD, and after the nomination of the three mechanisms for the implementation and monitoring of the Convention, the Department for Social Inclusion of Persons with Disabilities as the Focal Point and at the same time the administrative structure supporting the Coordinating Mechanism, is coordinating eight Thematic Technical Committees that aim to discuss, introduce and monitor the implementation of actions that promote the rights of persons with disabilities. These actions will be included in the National Action Plan for Disability, currently being elaborated. Starting off with equality, it is worth noting that Cyprus has a general legislative framework for Persons with Disabilities, which is in accordance with the articles of the Cypriot Constitution and also UNCRPD. Several laws concerning equality between men, women and the rights of children are also in force and include women and children with disabilities. Furthermore, the Thematic Technical Committee on Equality, non-discrimination, awareness and statistics has already suggested several actions for raising awareness and promoting equality through learning activities. In the area of education, Cyprus is enforcing the Education and Training of Children with Special Needs Law of 1999 which ensures that all children with disabilities are included in the school environment and specific measures are promoted to attend all their needs. During the discussions of the Thematic Technical Committee on Education and Vocational Training, a number of actions have been suggested such as the evaluation of student’s needs, capabilities and preferences, in order to ensure a smooth transition from school to employment. The field of employment is also improving in Cyprus. Several schemes and specific laws are implemented to ensure that a number of persons with disabilities will enter the work force. The Thematic Technical Committee on Employment promotes the creation of a new Organisation for Vocational Training and Employment, responsible for training and supporting persons with disabilities and enabling them to enter the labour market. Accessibility means the ability for persons with disabilities to move freely and with no boundaries, be able to use all means of transportation and have access to several forms of information. Through the Thematic Technical Committee on Accessibility of the Physical and Building Environment, research is being conducted in Cyprus in order to evaluate which public buildings are accessible and what measures need to be taken for the ones that are not. In the area of transportation by bus or airplane, Cyprus has taken all the necessary measures in compliance with EU legislation. The Thematic Technical Committee on Information Accessibility is promoting the National Digital Strategy to provide accessible information and communication technologies. Health access and rehabilitation is a field that can produce several barriers to persons with disabilities. In Cyprus, despite several measures to facilitate access of persons with disabilities to health services, there is still much to be done regarding rehabilitation. Through the Thematic Technical Committee on Health and Rehabilitation actions are promoted in order to strengthen our physical rehabilitation policy. Lastly, independent living is enabled in Cyprus by the provision of financial allowances that leave to the person the opportunity to exercise free choice on where and with whom to live. Through the Thematic Technical Committee on Independent Living, Social Inclusion, Mobility and Social Protection actions are formulated in order to create an institutional framework for services and structures that will promote supported living for persons with severe disabilities. 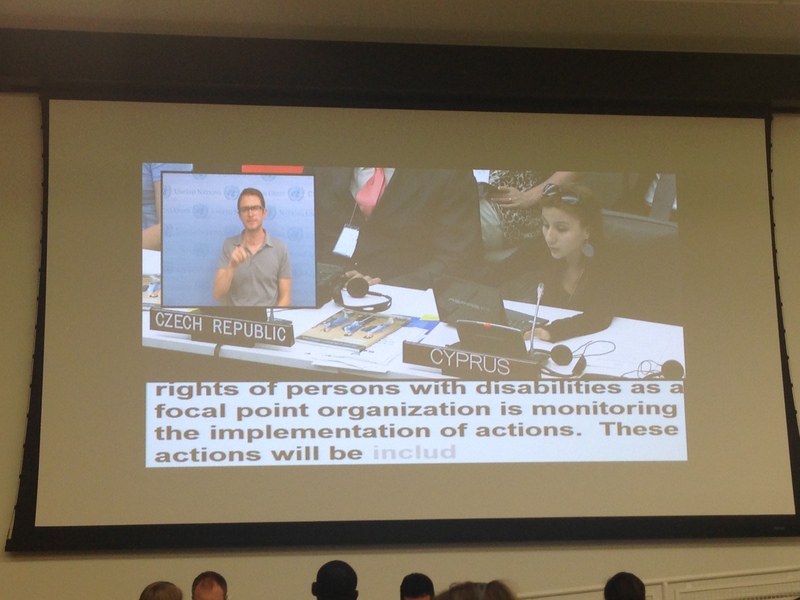 We look forward to cooperating with the UN Committee for the Rights of Persons with Disabilities that will examine our first National Report on the implementation of the UNCRPD to be submitted on 27 July 2013, for even more actions towards upgrading the quality of life for persons with disabilities.